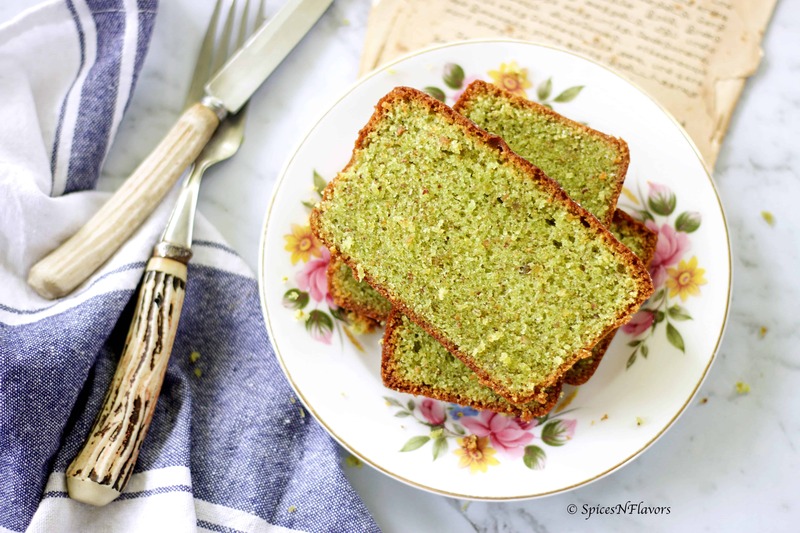 Pistachio Loaf Cake – decadent, delicious and delightful! This Pistachio cake recipe from scratch is made from real pistachios and no artificial flavouring. 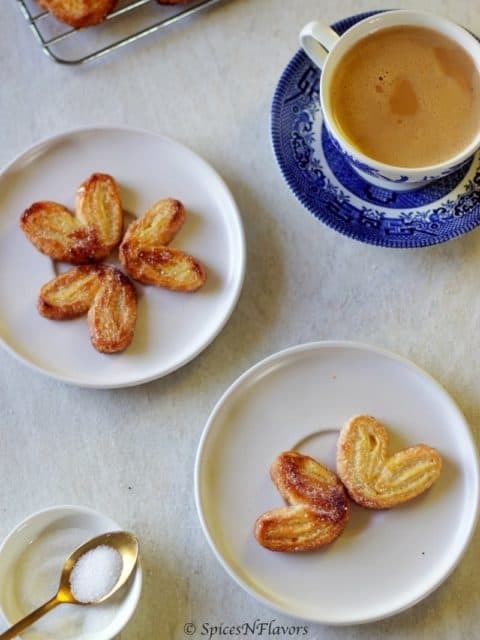 It is a soft, buttery, crumbly, not so sweet cake that you cannot, I bet you just cannot stop at first bite. You will keep coming back for more!! 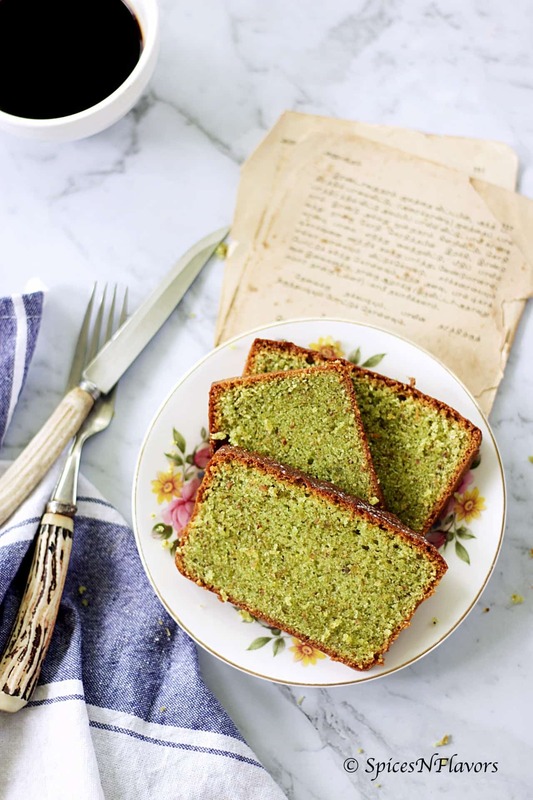 Pistachio Loaf Cake and Cardamom Tea – one perfect combination that would make your evening time even better. 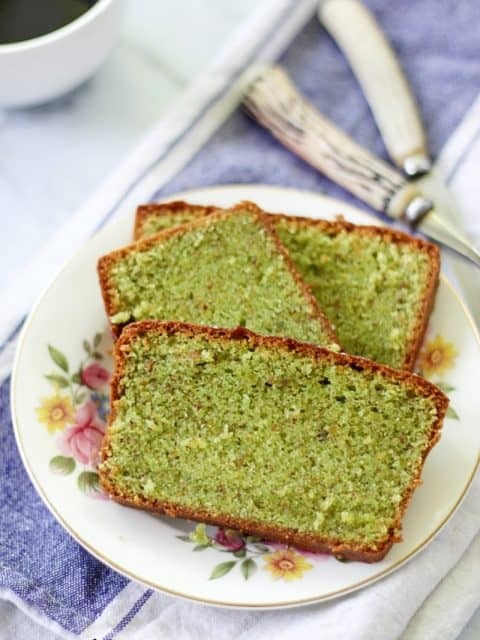 What makes this Pistachio Loaf Cake stand out? Well, one it follows the mechanical aeration method thereby incorporating lots of air in the batter which makes it airy and soft. What kind of cake do you guys prefer?? I like the Pound Cakes or to say this kind of Pistachio Loaf Cake. Or a simple Vanilla or Chocolate Cake with basic frosting not much say plain whipped cream. What do you prefer? Comment below and let me know. I have also shared a Beetroot Chocolate Loaf if you guys wish to check out. Look at that beautiful pistachio slice I mean slice of this beautiful pistachio cake. Doesn’t it look sinful? 1. If you check my Pistachio Loaf Cake video you might have observed that the batter curdled when I added my last set of egg that is because of the excess liquid added and it did not had enough air pockets to sit. So it curdled. To fix it I just added 2 tsp of weighed out flour which helped the batter to get in the right consistency. If you like baking and love to read about the science of baking then do check my Eggless Checkerboard Cookie and science-behind-chocolate-chip-cookies to understand this concept even better. 2. The second tip that I could share here is that my cake started browning a lot on the top so I just placed a parchment paper on top of the cake after 30 mins to prevent it from colouring a lot. 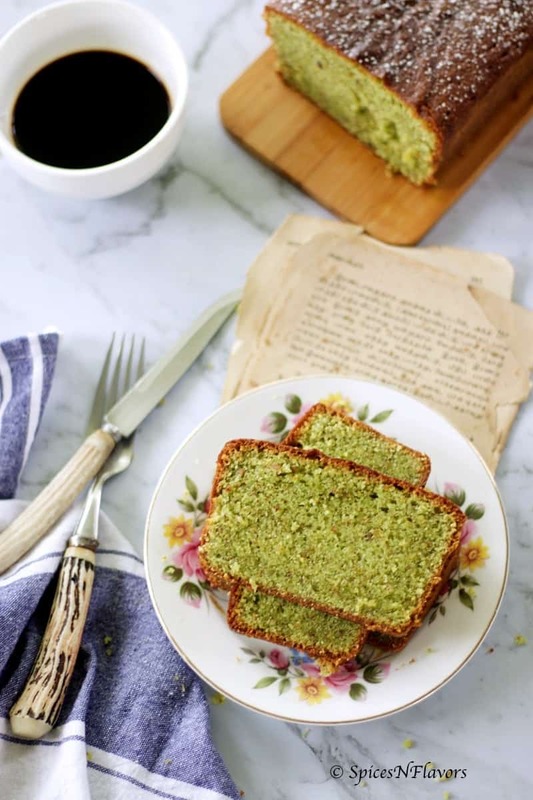 How to make a pistachio bundt cake using this pistachio cake recipe? 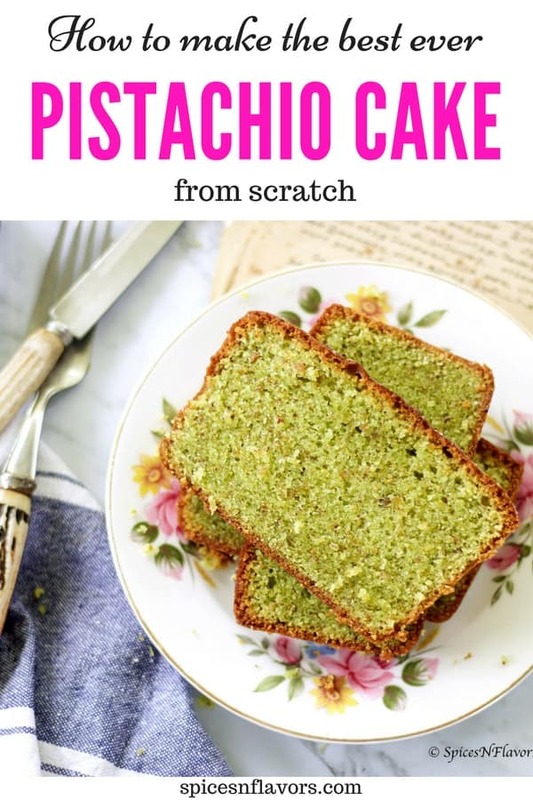 This pistachio cake recipe made from scratch unlike the other pudding box recipe can be easily adapted to make a bundt, loaf, square or round cake. Yes, go ahead and use a bundt pan to convert it into a pistachio bundt cake recipe. Can I use this recipe to make a pistachio layer cake? Yes, this cake is sturdy enough to hold frosting on top. But my recommendation would be only for 2 or 3 layers, not more that. 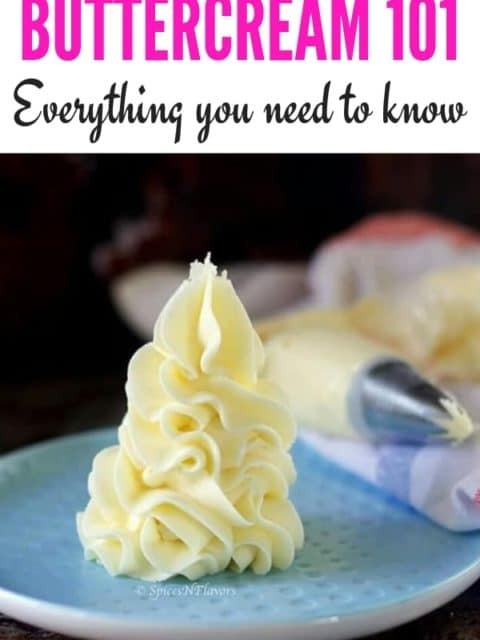 Whipped Cream frosting is the most sort out frosting for us Indians. But I think this pistachio cake would also taste good with Cream Cheese Frosting or Chocolate Ganache. Yes combine this moist pistachio cake recipe with chocolate ganache to make a pistachio chocolate cake and that would make the best pistachio birthday cake recipe. I would definitely love to make it for my birthday for sure. Oh and if you are someone who loves Indian flavours in a cake then definitely go ahead and add some cardamom powder in this instead of vanilla essence and you have a cardamom and pistachio cake recipe. And do not stop at this stage make some rose frosting and you have yourself a pistachio cake with rose frosting. That is one amazing cake flavour I must say. 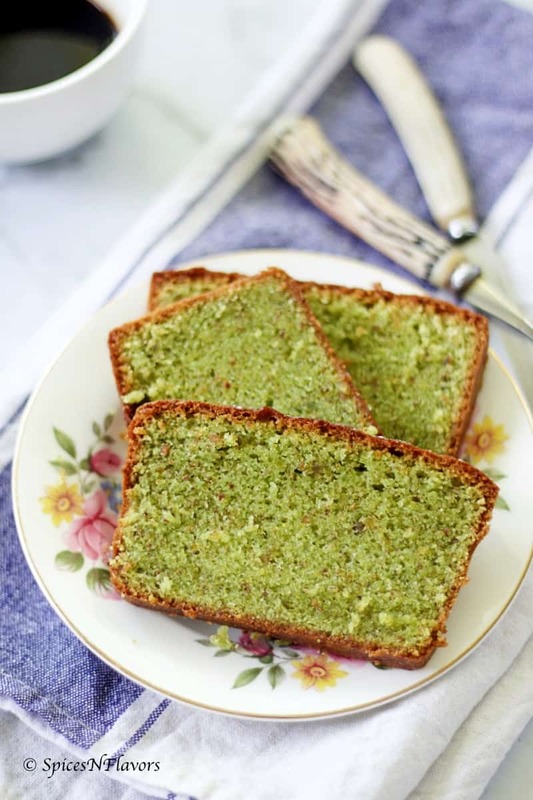 Pistachio Loaf Cake - A buttery, soft and delicious cake perfect for your tea time or even kids lunch box. Cream the butter and sugar until light, fluffy and pale in colour. This would take around 10-15 mins. Add one egg at a time, blend well and scrape the bowl after each addition. Along with the last addition of egg, add in the vanilla extract and drop of food colouring. Combine together and scrape the bowl one last time. To this add in your nut flours and combine. When the nut flours are almost mixed, sieve together all purpose flour, baking powder, cornflour and salt into the bowl. Combine everything until just mixed. Transfer to the greased loaf pan lined with parchment and bake in a preheated oven of 160°C for 35-45 mins. 1. To make the Pistachio and Almond Flour at home; roast the nuts a little and then grind into fine powder. Do remember to blanch the almonds too. Or else you can use roasted flour from the shops too. 2. If by adding the eggs your mixture curdles then just 2 tsp of flour and proceed there is nothing to worry. Or to avoid this you can add the last egg in two stages. 3. 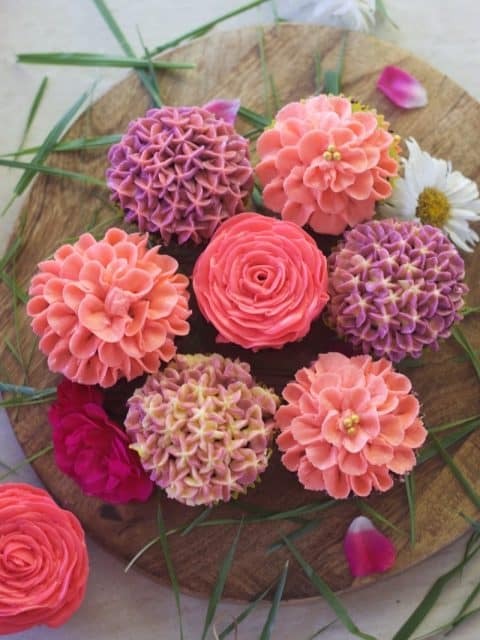 If your cake starts browning a lot then place a parchment paper on top to stop it from discolouring.